Organic Reactions is a comprehensive series of volumes composed of chapters devoted to important synthetic reactions. World-renowned experts, who have extensive hands-on experience in this field, have written the chapters that comprise this volume. The chemistry is presented from a preparative point of view, with particular attention given to reaction limitations, interfering influences, effects of chemical structure, and the selection of experimental conditions. 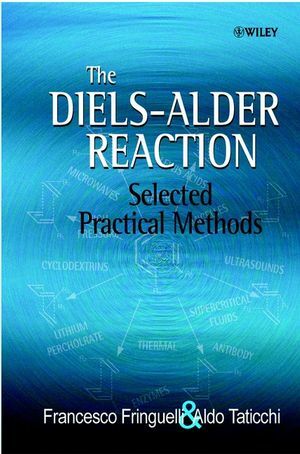 Each chapter includes detailed procedures illustrating the significant modifications of the chemical reaction as well as tables including all the pertinent examples of the reaction. Each reaction is presented with information about the reaction conditions as well as products and yields where available. 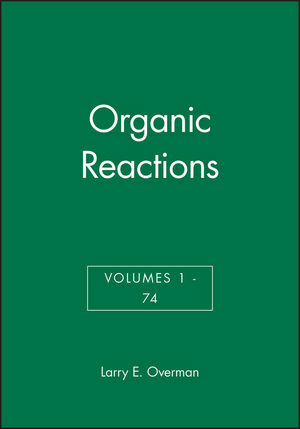 Organic Reactions, Volume 62 includes chapters such as "The Ramberg-Backlund Reaction," "a -Hydroxylation of Enolates and Silyl Enol Ethers," "The a -Hydroxyl Ketone (a -Ketol) and Related Rearrangements," and " Transformation of Glycals into 2,3-Unsaturated Glycosyl Derivatives." Filled with in-depth insights and expert advice, Organic Reactions, Volume 62 provides the most comprehensive and highly focused treatment of important organic reactions currently available. Larry Overman, current editor-in-chief for the Organic Reactions series, is Professor at the University of California at Irvine. 1. a-Hydroxylation of Enolates and Silyl Enol Ethers (Bang-Chi Chang, et al.). 2. The Ramberg-Bäcklund Reaction (Richard J.K. Taylor and Guy Casy). 3. The a-Hyroxyl Ketone (?-Ketol) and Related Rearangements (Leo A. Paquette and John E. Hofferberth). 4. Transformation of Glycals into 2,3-Unsaturated Glycosyl Derivatives (Robert J. Ferrier and Oleg A. Zubkov). Cumulative Chapter Titles by Volume. 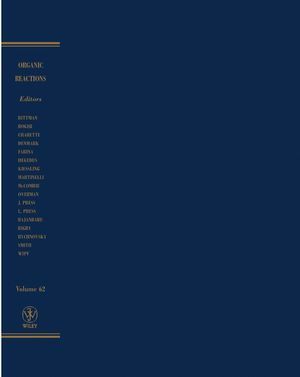 Chapter and Topic Index, Volumes 1-62.